Whether you own existing, historic construction or are having a custom home built from the ground up, choosing the right windows for your abode is absolutely critical. That’s because these are among some of the most noticeable features on your property. Much like the eyes have been called the windows to the sole, windows have been called the eyes of the home. Sash windows have been around for ages. In fact, people have been fawning over these windows styles for approximate 350 years. Following are several, important reasons to consider these amazing products for your house. Aesthetics are always the first thing that people consider when discussing the merit of these products. These are among some of the most beautiful and ornate options. 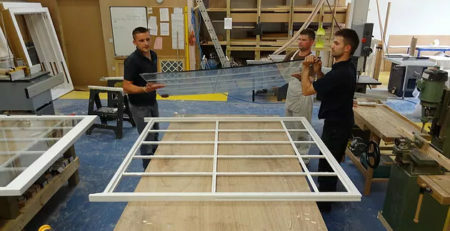 Rather than being composed of single, simple panes these units feature multiple panes that are connected with glazing bars. This makes them durable, sturdy and pleasant to look at. If you are looking for any easy way to enhance the overall value and marketability of your property, these are definitely the designs that you need to consider. A lot of discerning property buyers are looking for eye-catching features like these. This means that you are virtually assured of recouping your investment should you ever choose to sell. Given that most companies that produce these products are willing to warrant their products for a full 50 years, you can rest assured that this is one feature that will still be fresh, new and appealing whenever you opt to put your property on the market. Not only do people love the look of these units, but they also appreciate their stunning level of overall efficiency. Wood is a naturally insulating material. Moreover, recent innovations in sashes has eliminated problems with cold draughts and air seepage. With these designs, you will get an incomparable level of efficiency given that when they are properly installed and sealed, they will help trap warm air in your home when the weather is at its coldest. Once outdoor temperatures start to rise, they will keep warm air out. If you happen to have a mini-split or central HVAC system installed, this equipment won’t have to work as hard to keep the building interior comfortable. As a result, you can look forward to lower energy bills all year long. This is yet another way in which these amazing building additions can ultimately pay for themselves. In addition to natural insulating properties of wood, there is also the added benefit of having windows that provide excellent air flow all throughout the home. Due to the nature and construct of sashes, it is possible to get a nice cross draft whenever the living environment starts to feel stuffy and hot. These are an excellent source of ventilation. This is especially good news for those who are living in incredibly dated, Victorian buildings or Edwardian and Georgian house styles. There are times when adding modern home heating and cooling equipment is simply not possible due to the lack of duct work in these buildings and the dramatic changes that these additions will invariably create in the authentic layout of these abodes. With sashes, you can always keep your living space suitably cool, even when barometer soars. Another factor that consumers can appreciate is the increased security that many sash window styles provide. Unlike other window styles, these units can actually be locked in an open position. This means that you can continue to enjoy a comfortable indoor breeze at night without fear of having your home be broken into. When the nights are nearly unbearable, you can beat the heat by cracking a few of your sashes to let the cool air flow in. In addition to being able to lock your windows in place even while they are open, you have to account for the fact that many traditional-looking sash styles are also comprised of multiple panes. As such, even if a single pane gets broken out or is otherwise compromised, there is still no way that an intruder will be able to fit through this opening in order to access your home. The presence of the glazing bars and the small-size of each individual opening makes this type of entry impossible. You may be the proud owner of a historic home. With properties like these, it is important to maintain the integrity of the original building design by preserving the original window structures. 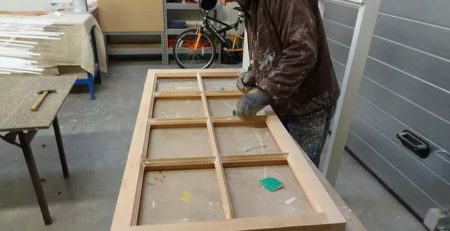 A reputable sash window installer can refurbish or restore the existing structures. When this is not possible, these professionals can put new sashes in that look very much like the original options. Moreover, you even have the choice of investing in slightly upgraded styles that are both more efficient and significantly easier to maintain. When you work with reputable window manufacturers, you have the added benefit of knowing that all of the necessary materials have been sourced in a totally sustainable fashion. That’s because these companies have established strong and long-standing relationships with equally reputable suppliers. Moreover, they are just as committed to getting quality wood for their windows as they are to protecting the environment and controlling costs. With these relationships, consumers can get the level of value and durability that they both deserve and expect. If you choose to order modern, vinyl or aluminum windows, you will be getting products that are mass produced. Moreover, the company that installs your windows will not be the same company that has made them. This more complex supply chain has a definite impact on overall quality control. It also has a negative effect on the installers ability to ensure that the entire manufacturing process is both environmentally-friendly and reliant upon sustainably sourced materials. A quality window manufacturing company will love everything about the sash window designs that it supplies. This is a business that will maintain its own workshop and that proudly completes all of the work onsite. Given that everything is done in-house, quality control will always be at optimum levels. Moreover, you can rely on companies like these to provide you with any custom window designs that you need for accommodating window openings of non-traditional shapes and sizes, no matter how dated or ornate these cutouts might be.